BAE Systems and the RAF Museum are once again displaying the iconic, World War II era Spitfire at Bahrain International Airshow 2016 (BIAS 2016). The aircraft is a piece of aerospace history and is also a reminder of the strong links between Bahrain and Britain which were underlined in the Second World War. The Supermarine Spitfire remains the iconic British fighter of the Second World War, and Britain was not alone in its fight – Bahrain, through the Fighter Fund, financed the purchase of 10 Spitfires to aid the war effort. These were funded by all members of the community in the Arabian Gulf. In total, the Fighter Fund raised £50,000 (31,000 BHD) and six Spitfires bore the name “Bahrain”. The aircraft was well known for its elliptical wings and the sound of its supercharged Rolls Royce Merlin engine, which can be seen up close at the show. 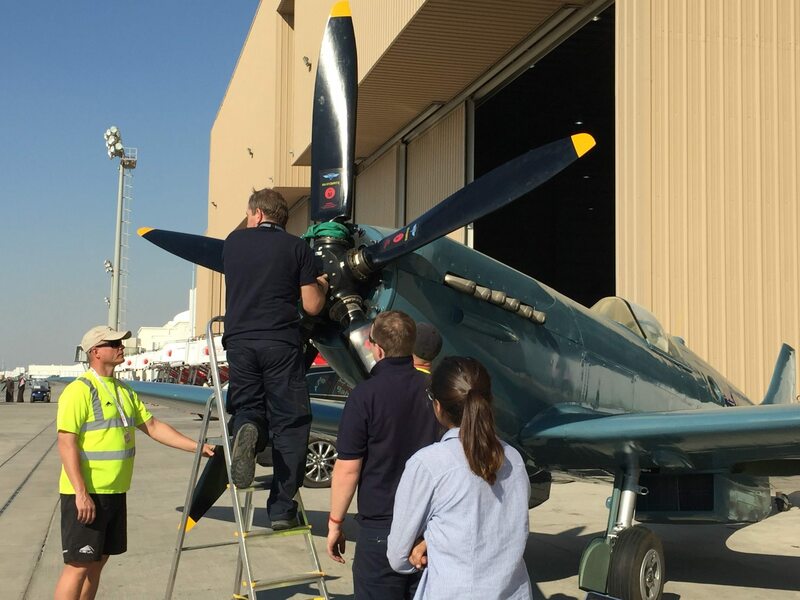 An RAF Museum representative will be on hand to provide insights and anecdotes about Spitfire and its link to the Middle East, as well as the role the Bahraini students have played in preparing the aircraft for display at the Bahrain International Airshow. Spitfire entered service in 1938, with 20,321 Spitfires built over 24 variants and its last operational RAF sortie came in 1954. The actual model on display at BIAS 2016 was originally ordered in June 1943 and built in 1945.